To really scale your business consistently, you need three conditions in place. First off, you need capacity, in the form of a super leadership team, staffed with leaders in sales/marketing, administration/finance and operations. You need a team that has the capacity to develop new solutions as new growth challenges arise. It’s more than just having the physical capacity to get the work done; your team needs the mental capacity to work through new problems. Your old solutions won’t work on your new challenges. Your team also needs the leadership capacity to develop sufficient bench strength as you scale. So that’s three types of capacity that your team must possess: physical, mental and leadership. If you have all three, then you have a super leadership team that will help you scale. Secondly, your company needs the cash flow to fund your growth. Cash flow comes first and foremost from making a very good profit; without excess profit, it’s hard to create excess cash. You want to make sure you are writing your contracts in a way that doesn’t strip you of cash. Even more importantly, make sure to use debt wisely to fund hard assets, so that your cash can fund the soft assets needed for growth. When I take on a new client, I study their balance sheet along with their profit-and-loss statement; it tells me how well they have managed their cash. Third, your value proposition must be finely tuned and actively managed. For maintenance companies, client retention needs to be high in order to scale your business. For all companies, new clients should be clamoring for your services, and/or you should be clamoring for them, through your business development arm. To develop and maintain a powerful value proposition, you must have customer-facing positions staffed and trained to actively engage with your clients and actively ensure that the company is delivering on its promises. The best companies have straightforward service strategies that, in their totality, set them apart from the competition. It sounds simple, and it is, but doing it consistently as you scale is the challenge. Overcome that challenge and you will set yourself apart from your competition. In today’s economy it’s easy to get complacent, but the real judge of excellence is to be doing better than your competition in any economy. Are you scaling your landscape business? If not, what’s holding you back? Use the triad of capacity, cash and client service to identify your next priority as you scale your business. 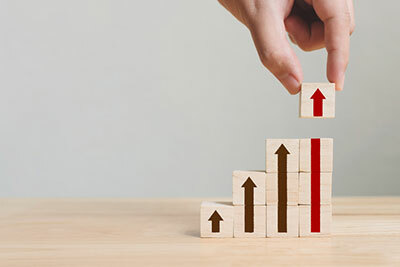 1 Comment on "Profit Power: 3 conditions for scaling your landscape business"
I enjoy reading the blog here at landscape management. I own and operate a tree service in Texas and the information here typically applies to my business as well. You make and remind me of the 3 very important points to ensure employee capacity, cash flow management and delivering an amazing customer experience. Thanks!